Gerald Winters, owner of Gerald Winters & Son in downtown Bangor. 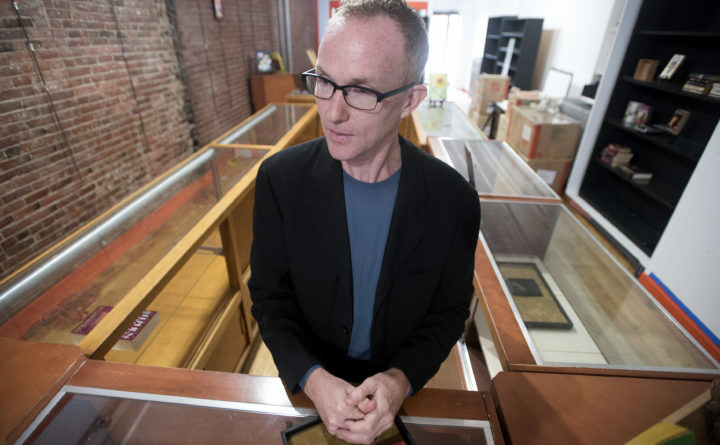 Downtown Bangor rare book dealer and Stephen King-themed shop owner Gerald Winters was deeply saddened to hear the news that Microsoft co-founder Paul Allen died on Monday, according to a long post on Facebook he shared Tuesday morning. Allen, who died at age 65 after a battle with non-Hodgkin lymphoma, was not only a patron of Winters’ — he was directly responsible for Winters being able to recover after a devastating basement flood in January destroyed or damaged hundreds of thousands of dollars of inventory. Winters first met Allen when he opened his shop in summer 2016. He said Allen read a Bangor Daily News article about some of the one-of-a-kind items Winters had in his collection, and contacted him shortly afterward to see if one of them — a hand-edited, uncorrected proof of J.R.R. Tolkien’s “The Fellowship of the Ring” — was for sale. Over the course of the ensuing 18 months, Winters contacted Allen a number of times to let him know when a particularly interesting book or item came through his store. Though Winters declined to say how many or what titles Allen purchased, they were always all over the map. Allen was renowned internationally as a philanthropist, who was particularly given toward supporting arts and culture, scientific research, ocean conservation and the homeless. “Paul’s literary interests were broad, and he was interested in many different genres. The rarer and more unusual, the better,” Winters said. In January, a freak accident involving a burst water pipe flooded the basements of four downtown Bangor businesses, including Nocturnem Drafthaus, Treworgy & Baldacci, Herbal Tea & Tobacco and Gerald Winters & Son. Winters’ store, in particular, was devastated. He had moved much of his inventory temporarily to the basement while he reorganized the retail space, which was then flooded with chest-high water, soaking the pages of dozens of first- and limited-edition King books, galleys, signed copies, prints in different languages, rare ephemera, and seven of King’s original manuscripts, as well as works by Tolkien and George R.R. Martin. Winters said one of the only phone calls he took during that difficult time was from Allen. “His call was brief, but he told me to contact him the second any rare items were located, regardless of the condition, or time. I told him I would,” Winters said. 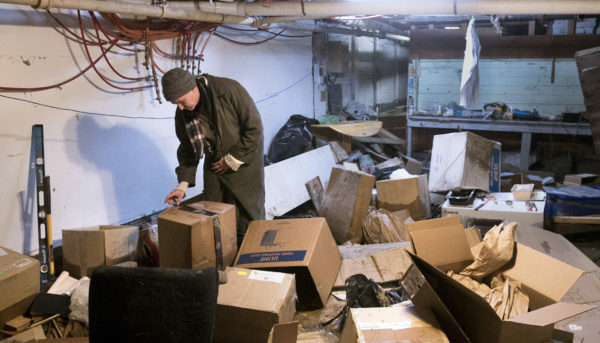 Gerald Winters surveys some of the damage in the basement of his bookstore. As Winters began to recover salvageable items, he sent them to a book conservator to restore them to their original states — often via personal courier flown in on private jet to Bangor. Throughout those months, Winters never saw an invoice. Winters spoke to Allen within the last month about the auctions of the Stephen King collection of David Morrell, with proceeds going to benefit pediatric cancer research; Allen was interested in buying a few of the books. Winters knew that the lymphoma, for which Allen had been treated previously, had returned, and his health had taken a turn for the worse. “His kindness and generosity touched my family in ways he would have never understood, and although we never met in person when we knew each other, I considered him a friend,” Winters said.